Apple has officially seeded its tenth version of OS X Mavericks 10.9.3 to general Mac users and developers with some notable changes and features inclusion. 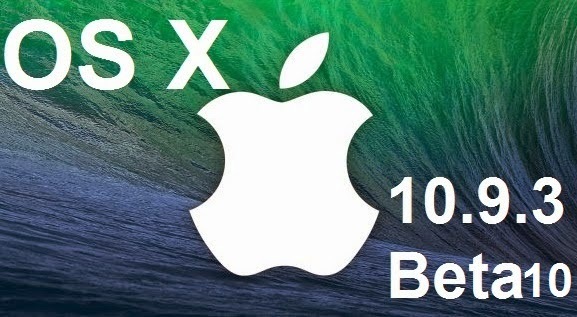 The official Direct Download Links of OS X Mavericks 10.9.3 Beta 10 (Build: 13D61) .DMG Update File is available for installation. According to sources, Apple has also released and distributed the next build version of OS X Mavericks 10.9.3 (Build: 13D62) to AppleCare Employees with sign of an imminent for testing and experiment purpose before the official release of OS X Mavericks 10.9.3 Final Build Version to general-public. Mac users can see Changes and Features of OS X Mavericks 10.9.3 Build: 13D62 in below image, which lacks the label 'pre-release', which gives a symptom of the finalized version that should be available anytime in a days or week. So it might possible that after this build version, users no more get OS X 10.9.3 Beta 11. To update/upgrade old Mac OS X software version on latest OS X Mavericks 10.9.3 Beta 10 (Build: 13D61), simply go to Mac App Store >> Software Update tab or visit OS X Dev Center website. For manual installation via iTunes, you can Download OS X Mavericks 10.9.3 Beta 10 (13D61) .DMG Update File via Direct Links available below.